Tom serves the fire investigation community as a member of the Board of Directors and past President of the California Conference of Arson Investigators. Fire & Explosion Investigations, Chimney and Woodstove Venting and Fire Causation, Commercial Kitchen Fires and Commercial Pyrotechnics. Mr. Pierce has over 25 years of firefighting experience. He currently holds the position of Senior Fire Investigator and owner of Pierce Fire Investigations, Inc. During the course of Mr. Pierce’s career, he has participated in over 1,500 origin and cause investigations including, vehicle, structures, chimneys and vegetation fires. 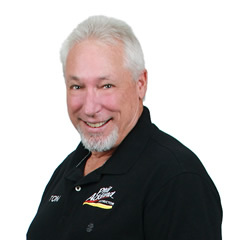 He has accumulated 18 years’ experience as a solid fuel contractor and inspector and was a regular contributor to “Ask the Expert” in the field of chimney and wood stove codes and safety. Mr. Pierce currently serves on the Technical Committee for the NFPA 211 Standards for Chimneys, Fireplaces, Vents and Solid Fuel- Burning Appliances. Mr. Pierce serves the fire investigation community as the immediate Past President of the California Conference of Arson Investigators. Mr. Pierce was recently accepted to the Expert Witness Panel in the category of Fire Investigation for the Superior Court of Los Angeles California. Mr. Pierce is well versed in the field of commercial pyrotechnics and has just celebrated his 35th year in the industry. Mr. Pierce has recently been retained by Ackland and Sander Consulting as an instructor in the field of Investigating Commercial Kitchen Fires and as their lead Fire Investigator.